ESPN spoke to over a dozen people within the team. Just in time for the NFL playoffs, ESPN has dropped a story about the possible end of the New England Patriots dynasty. A season involving a reported internal conflict between Patriots head coach Bill Belichick and the personal trainer of Tom Brady reached a new tipping point in the ESPN story, suggesting turmoil brewing within the Patriots franchise and the final days of the Belichick-Brady combination could be near. The rift between Belichick and Brady’s personal trainer, Alex Guerrero, was chronicled earlier in the NFL season, but the ESPN story digs a bit deeper and suggests other Patriots players opted to seek medical advice from Guerrero instead of Patriots doctors. As a result, players were left trying to decide whether or not to keep the trust of Belichick or Brady. 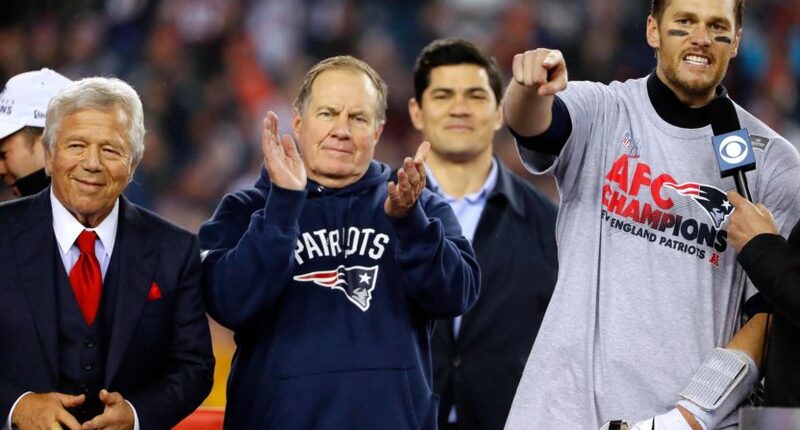 This season, Belichick attempted to settle perceived issues of conflict within the team by emailing Guerrero to let him know he would no longer be allowed to stay on the sideline at Patriots games since he was not an employee of the Patriots. However, this move only led to more of an issue with the team. An email intended to solve problems only created more of them. Guerrero texted some of the Patriots players who were clients and specified that he “would need to treat them at the TB12 Sports Therapy Center.” But several players told staffers and coaches that Guerrero gave them the impression that Belichick would no longer allow them to work with him. In the view of many Patriots, it was an example of Guerrero trying to split the organization by turning players against Belichick. Meanwhile, Brady continued to say he had no plans of retiring and intended to continue playing into his mid-40s. Coincidentally, or perhaps not so coincidentally, this was right around the time of the NFL trade deadline. In telling the Patriots he was not planning on stepping aside, the Patriots ended up trading away backup quarterback Jimmy Garoppolo to the San Francisco 49ers (a move that worked out quite well for the Niners). Belichick, who is not afraid to move on from a player past his prime, has allegedly continued to grow frustrated with his future Hall of Fame quarterback. Among the frustrations was Brady’s apparent reluctance to help Garoppolo develop. Belichick wasn’t the one who wanted Garoppolo shipped away, and that makes sense. As a forward-thinking head coach, Belichick is planning out what the team will do years down the line, which is part of the reason he has been so successful with New England. Belichick knows Brady won’t be playing forever, so having the next man in line ready to go makes perfect sense. But Brady almost forcing the Patriots to stick with him, as Belichick may see it, is unsettling. All of this leads into the postseason. Odds are, given how the Patriots have operated over the years, all of this will be nothing more than a mild distraction that will not have any impact on what happens on the field this postseason. A team with as great a quarterback and a coach as the Patriots have are not likely to completely implode because of a story that digs behind the scenes of stories that have been floating out there all season long. Winning is the ultimate cure for any situation, and the Patriots have a chance to shove all the nonsense aside and let the off-field drama play out after another Super Bowl parade. As long as the Patriots remain in the playoffs, a story like this will be secondary to any task at hand, but one wonders if this really is how the Patriots dynasty will ultimately end. UPDATE: In response to this story form ESPN, the Patriots have released a joint statement from Brady, Belichick and Patriots CEO Robert Kraft to confirm that they do not, in fact, hate each other.